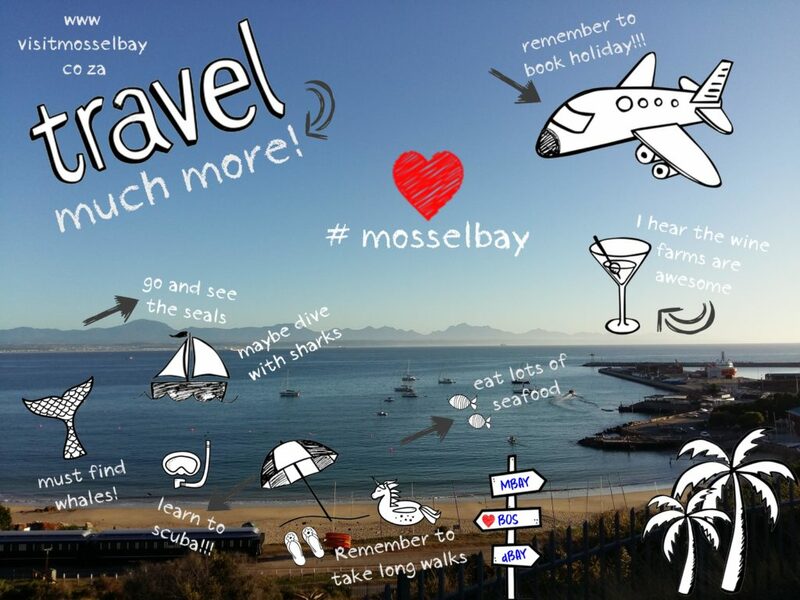 Here are some tips to travel like a local in Mossel Bay! 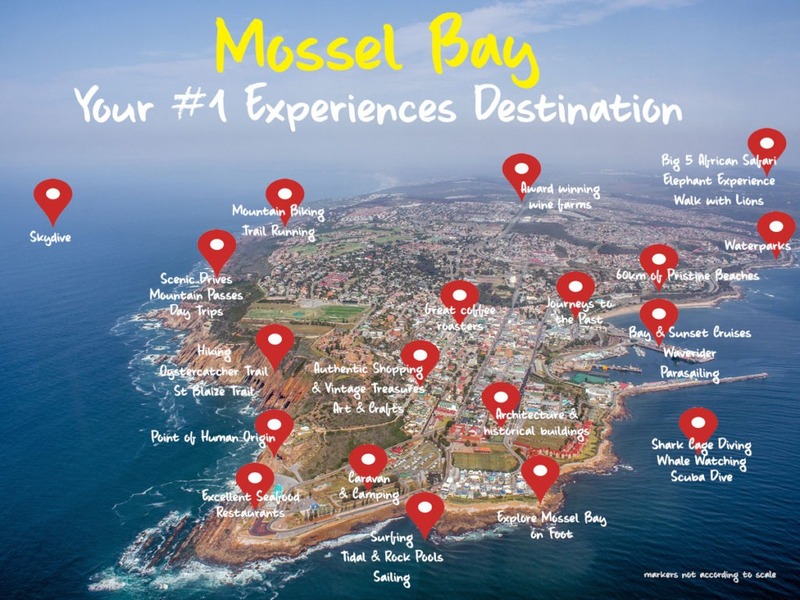 A list of the top 10 things to do in Mossel Bay …. 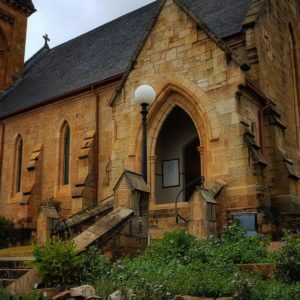 Take a walk around Mossel Bay`s “old town” to explore its rich architectural heritage. Relive yesteryear with quaint art and vintage shops, enjoy some unique shopping gems along the way while absorbing the laid back pace of the locals … sit back, drink coffee and enjoy the spectacular views. 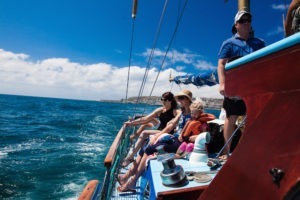 From Stone Age humans living in caves at the edge of the world to modern travelers on sparkling cruise ships, Mossel Bay has a colorful history that spans 162 000 years. Explore the different eras of history by browsing our museums, visit our historic buildings and icons and retrace the steps of your ancestors. Mossel Bay … a pioneer town on the African continent! 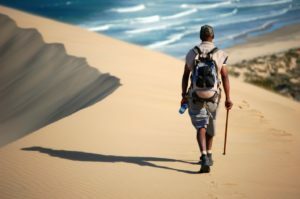 The St. Blaize Trail is a popular 13.5 km trail that follows the 30 meter contour along the cliffs westwards from the Cape St. Blaize Lighthouse and ends at Dana Bay. It begins at the Cave below the Lighthouse, and ends on the beach at Dana Bay (it can be run in either direction, or do an out & back run), and is clearly marked in white with the sign of the Oystercatcher, as it forms part of the greater Oystercatcher trail starting at the Gourits river mouth. Mossel Bay is blessed with incredible animal and natural diversity and home to the only free roaming Big 5 in the Garden Route. Explore Africa`s most famous and endangered on foot, on quad bike, on horseback or on a safari vehicle. 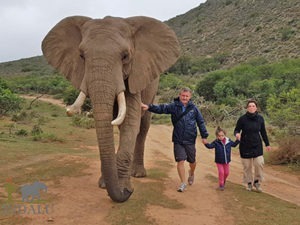 Get up close and personal with gentle giants at Indalu or find your pride at Zorgfontein. Animal experiences that will appeal to all ages. The peninsula that is Mossel Bay lies at a unique confluence between the warm Indian Ocean and the Outeniqua mountains creating a shallow bay where whales, sharks, seals and dolphins frolic. Enjoy them up close and personal, from a boat or from the air. Tranquil or adrenaline filled experiences, the options and plenty. Scuba dive our reefs and wrecks and see the other side of the waves. More than 60 km of pristine beaches! Explore the rock pools, swim in tidal pools or walk for hours. If the beach is not enough step into our water parks for some fun and entertainment. Mossel Bay is proud to offer four blue flag beaches at Santos, De Bakke, Hartenbos and Klein Brakrivier beaches. The Point is a dramatic rocky point which is at the tip of the peninsula. Rows of rocky reefs form a natural tidal pool known as Die Poort. For generations, the towns children have learned to swim in this pool. At the upper end of the pool there is a diving board over a deep pool with high rocks on the seaward side. 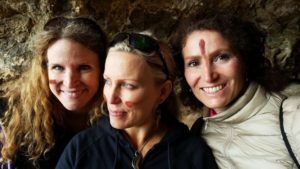 A bucket list activity when in Mossel Bay and a hidden gem. 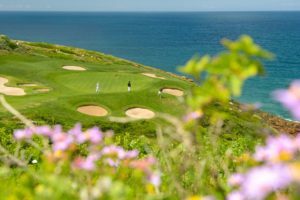 Overlooking the Indian Ocean near Mossel Bay, and designed by Peter Matkovich and 2011 Open Champion, Darren Clarke, Pinnacle Point is one of the most unique and scenic golf courses in the world. Mossel Bay Golf Club is the friendly club! They aspire to be the friendliest club in South Africa and believe that friendly service, friendly facilities, and friendly everything contributes to a wonderful golfing experience. There are two really awesome ways to send postcards from Mossel Bay!!!! Yes, people do still send them! Post your memory from the Post Office tree at the Dias Museum complex and get an commemorative stamp as a bonus. 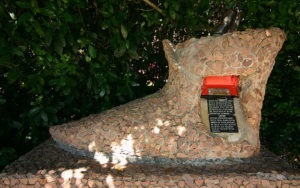 As a salute to the Post Office Tree, the Protea Hotel and Café Gannet, situated right next to the Dias Museum complex, erected a giant, bright red post box in its garden. 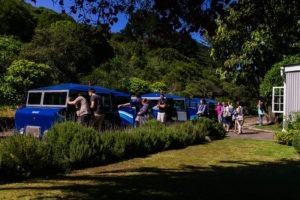 Visitors can post letters and postcards (that the Protea Hotel and Café Gannet supply free of charge) to loved ones, and they are also stamped with the special commemorative frank. It is a huge attraction and talking point for especially overseas visitors. 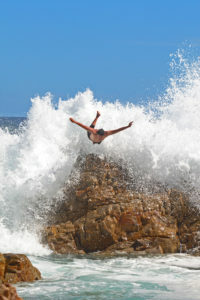 Extreme experiences are an everyday occurrence in Mossel Bay. 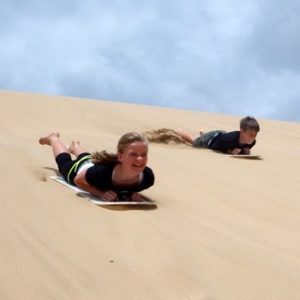 Skydiving, shark cage diving, freaking fast wave riders, parasailing, sandboarding ….. Mossel Bay has it all. 10. All aboard the Diaz Express! A fun rail experience for the whole family run. Admire the scenery, along the coast, between Mossel Bay and Groot Brakrivier. ….. and after all this you need to enjoy one of the local beverages! …. OH, one last thing! Seafood! Eat lots of seafood!! I lived there for four years and virtually every single night, after work, I would go to the beach and fish till night fall. The fishing is great, all the way down to Goritzmond.